Avocados have been on my mind lately. If you caught my tweet a few days ago, I've been thinking about growing them. Apparently you can start from the large seed that you usually discard when you cut open the fruit. I always felt bad about tossing the golfball-sized seed. Today is the perfect day to celebrate this healthy fat, plus they are usually on sale at your local grocery store (they were at Whole Foods this morning). 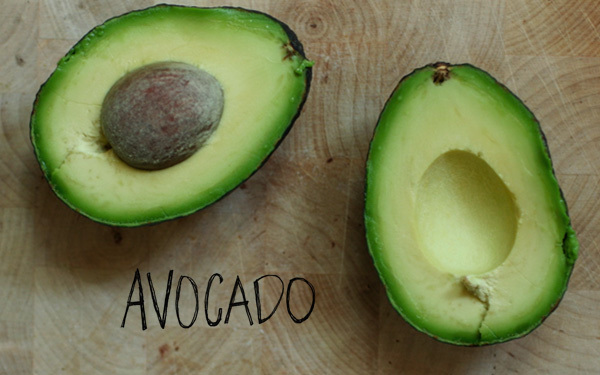 What's your favorite way to eat an avocado? I love avocado slices with lemon juice, sea salt and pepper. Sometimes I eat alone or mashed on a piece of toast for breakfast. I grabbed a few avocados this morning and whipped up a big batch of guacamole at lunch. This isn't just any guacamole, but I added 3/4 cup of cooked edamame for a protein kick. 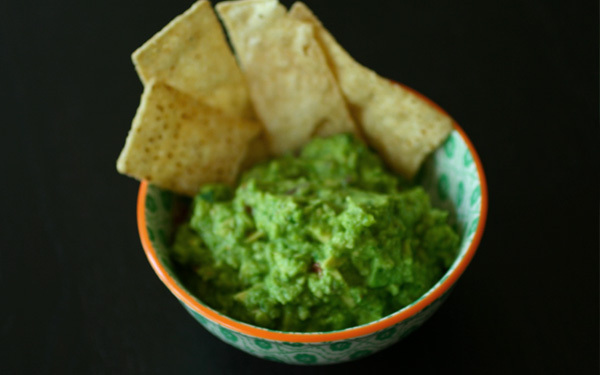 The usual ingredients that give guacamole it's signature flavor—avocado, cilantro, tomato, red onion, serrano pepper, sea salt, pepper, cumin, lemon and lime juice—are still included. 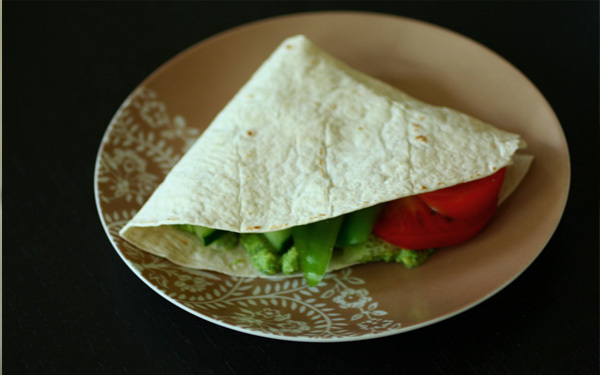 Enjoy with tortilla chips or spread over lavash (or stuff a pita) with crunchy veggies like I did for a simple lunch. Yum. How are you enjoying the holiday? The edamame has a mild flavor, and doesn't overpower the mildness of the avocado at all. I actually blended the edamame with the cilantro, so it was mixed in really well. I hope you like! I love edamole! :-D This looks great! why do I always neglect buying it? Avocado--I can never get enough of that magic green fruit! Last Thursday, I enjoyed some lime-spritzed diced avocado over chipotle black bean tacos. I'll have to try your edamame-enhanced guac sometime. I fear that my love of avocado/guac is going to be a doozie for my thighs...even good fat...in the quantity I consume this green treat is horrific haha I like to spread mine on toast too! 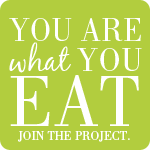 Avocados are so yummy and so good for you.